Do you have fear of God? Let the modern Church heed these words. This entry was posted in Catholic, God and tagged Catholic on November 12, 2015 by damselofthefaith. 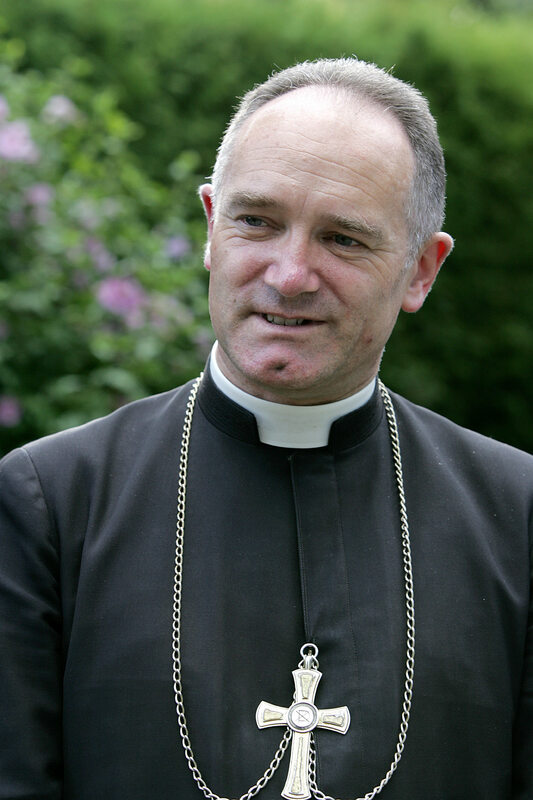 The final part in a series on the Person of God by Fr. Francis Hunolt (1694-1746). To be judged by Christ, a Man like ourselves, shall be a source of the most terrible pain to the sinner. The Gospel that has been read for you shows clearly that Jesus was true Man, and a Man like to us in all things except sin, for He grew up as we do. “When he was twelve years old” His Mother and foster-father lost him, just as a little child is lost in a large town or in a great crowd of people and cannot find its way home again. He increased in age, understanding, and wisdom, just as all men are wont to become wiser as they advance in years. 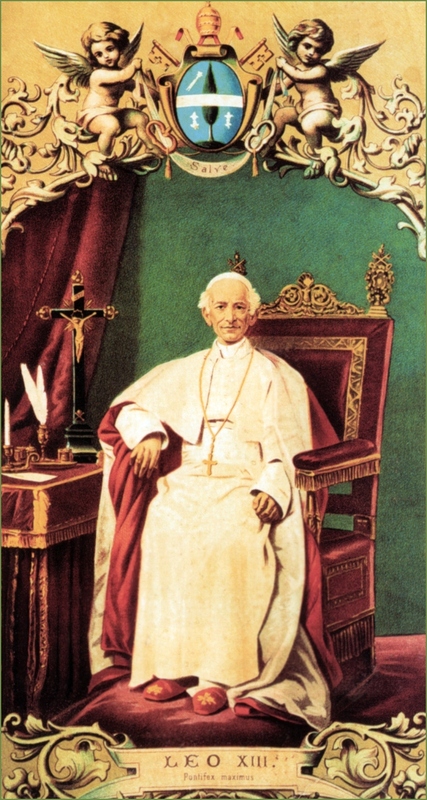 “He advanced in wisdom and age.” Although in the very moment of His conception He was infinite wisdom and holiness, yet He increased in those; that is, He gave more outward evidences of wisdom and holiness in order to serve as a pattern for all, that we by following His example may, as we easily can, advance daily in grace and virtue before God. 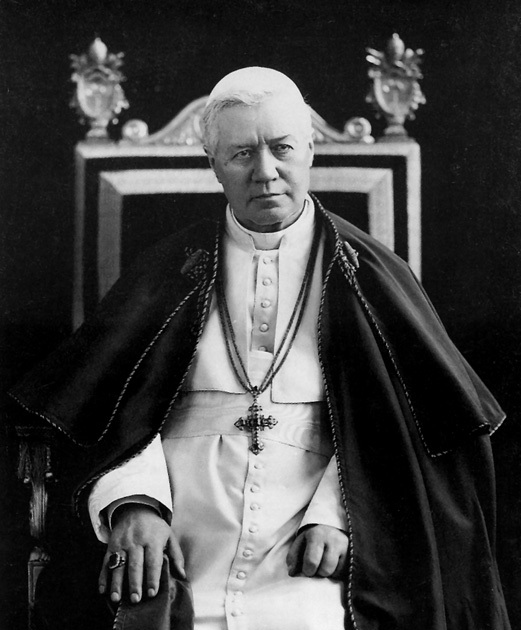 My dear brethren, hitherto we have considered Jesus our future Judge as God and as Man, and in both cases we have had to confess that He will be an exceedingly terrible Judge for the sinner; for as Judge He will be a God without mercy, and as a Man He shall become quite changed and without pity. There is still another circumstance connected with the same Judge which is not less terrible, namely: that He is a Man like ourselves, as I now proceed to show. To be judged by Christ, a Man like ourselves, shall be a source of the most terrible pain for the sinner. Such is the whole subject of this meditation. That we may derive the proper spiritual fruit from this and the preceding sermons, we expect the grace of God, through the intercession of Mary and of our holy guardian angels. To insure the conviction of a criminal, so that he will not have a word to say against it, there is no better means than to appoint one to try him who is either of the same standing and condition, or otherwise has known the accused for a long time, and is well acquainted with his manner of life and the various wiles he employs to carry out his plans. Thus it would be altogether unsuitable for a great king to try a peasant for not paying his rent or taxes. Why? Because the king who lives in a palace surrounded only by noblemen knows nothing of the condition of the peasant, nor how far his liabilities and obligations may extend. No matter how wise and experienced the king may be, nor how simple and ignorant the peasant, the latter might easily befool the king by alleging his extreme poverty, the pressure of hard times, the losses he has suffered, and so forth; nor would the king have any reply to make to all this, but rather, moved by compassion, would be inclined to believe the peasant’s lies and let him off scot-free. The proper thing in such a case is to leave the matter in the hands of one of the same condition, who knows by experience how to detect false excuses and to refute them. Unheard-of, my dear brethren, are the love and goodness of the great God in deigning to take on Himself our lowly nature, and as St. Paul says, to put on the “form of a servant,” with all our weaknesses and miseries, sin alone excepted, even to sorrow and death and to the extent of being tempted by the devil: “Tempted in all things such as we are, without sin.” Therefore since He Himself has borne our miseries, He can have a heartfelt compassion for us. Truly, that is a great consolation for us as long as we are on this earth! But when I consider the matter aright, that very same circumstance makes the last judgment more terrible still to me and to all sinners; that namely, the same Man, like unto us in every respect, shall come as Judge invested with full power in His majesty and justice to examine into our sins against His commands and laws. For thus we shall be more clearly convicted, put to shame, driven into a corner, and be utterly unable to say a word in reply or excuse. Why so? 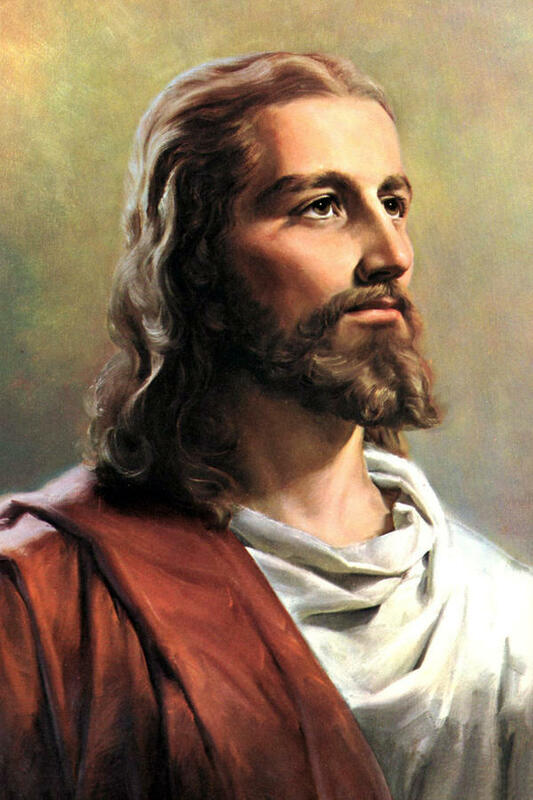 Because if our heavenly Father were to examine us only in the divine nature, He would condemn us merely for insulting His sovereign majesty; but Jesus Christ in addition to that will put us to greater shame and convict us more clearly by the life He led amongst us and the example He gave to all men to encourage them to the practice of virtue. If we heard the sentence of condemnation from God alone, on account of having transgressed His commands, we should be indeed convinced that we should have kept the commandments; but since that same sentence shall come from the lips of the incarnate God, it will convince us that we could easily have kept the commandments. Thus there will be nothing for us to plead in excuse, and the grievous injustice of sin will be made much more evident to us. If the Judge were to say to us as He did in olden times to the Hebrews: “I am the Lord thy God,” Who created thee out of the dust of the earth; how couldst thou, miserable worm, dare to disobey My commands and to live according to thy own will? we might answer perhaps, by way of excuse, great Lord and God! it is true I should have been most obedient to Thee; I cannot deny that I am guilty and deserve punishment; but remember, since Thou knowest all things, how frail is the handful of clay out of which Thou hast made me! “The spirit indeed is willing, but the flesh is weak;” the soul Thou hast infused into me was indeed ready to avoid sin and to do good, but my miserable flesh is too frail and has done violence, as it were, to the spirit in order to have its own way. Thus no matter how terrible the judgment may otherwise be, if we were to be tried only by the infinite majesty of God, we might have some way of escaping the penalty due to our disobedience in transgressing a law so hard for our weak nature. But before the tribunal of Jesus Christ, a Man like to ourselves and subject to the law as we are –“God sent His Son made of a woman, made under the law,” as St. Paul says before such a Judge what excuse could we put forward? fear without hope! Anguish without alleviation! Terror without excuse! Damnation without gainsaying! The example He gave us in our own nature shall close our lips and clearly prove to us that we could and should have kept the divine commandments and lived according to them. “Put Me in remembrance and let us plead together.”Tepid, slothful Christian! thou hast disregarded many beautiful examples that might have helped thee to do good and save thy soul, and neglected them through sheer sloth; thou hast wasted many hours, weeks, and years, in which thou mightest have gained heaven at any moment; thou hast missed many Masses and sermons in which I could have brought thee to the knowledge of thy vices, to amend thy life to greater zeal in My service, and that thou hast done simply to indulge in sloth and love of sleep; thou hast consumed thy precious time in eating, drinking, and gaming; thou hast performed thy daily tasks without a good intention, without offering them up to Me. Couldst thou not have been more diligent and zealous? Hast thou not often heard that “the kingdom of heaven suffereth violence, and the violent bear it away”? Look at Me, a Man like thyself, and see how I have labored for heaven, as if I stood in the greatest danger of losing it, although it belonged to Me by right and I could have had it without the least trouble on My part. 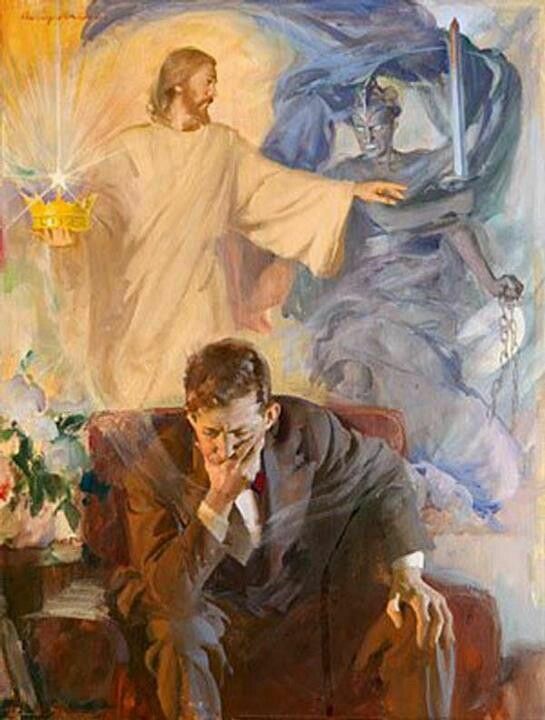 I have been as diligent in working for thy salvation as if I could not be happy without thee; for thy sake I have gone many a long journey, and have often fatigued Myself running after thee; all the thoughts, words, and actions of My whole life were offered to the eternal Father for thee and thy salvation. But thou hast been unable to do any work, to take any trouble except for the world and perishable things! wicked man! “Tell if thou hast anything to justify thyself.” What excuse canst thou offer? If thou hast any, let Me hear it; but “put Me in remembrance and let us plead together!” Think of what I, a Man like thyself, have done, and that will be enough to reduce thee to silence. Cry out again, Malachy, the words: “Who shall be able to think of the day of His coming, and who shall stand to see Him?” I will not ask who shall be able to hear such a convincing Judge. Sedecias, the king of Israel who was taken prisoner by Nabuchodonosor, gives us a slight idea of the sad spectacle the sinner shall present when he appears before his insulted Judge to be put to shame. You may read all about it, my dear brethren, in the twenty-fifth chapter of the Fourth Book of Kings. The city of Jerusalem was besieged and taken by the Assyrians; all the people took to flight, and Sedecias was captured, bound in chains, and brought to Babylon: “The army of the Chaldees pursued after the king and overtook him, . . .and bound him with chains, and brought him to Babylon.” There the unhappy king had to see his children slaughtered before the throne of Nabuchodonosor; his eyes were plucked out, and there was nothing more left him on earth to see or care for. Thus deprived of sight, childless, helpless, without consolation or hope, his most bitter torment and greatest shame was to know that he had to lie there a prisoner and slave to a king like himself, who was now his conqueror and sworn enemy. “So they took the king and brought him to the king of Babylon, and he gave judgment upon him,” and mocked at his misfortunes. That was worse to him than his imprisonment, his blindness, nay, even than death itself. Truly unhappy, Sedecias! But still more unhappy are you, sinner, if you have to stand with open eyes before a Man like yourself, and hear Him convict you as your implacable Judge! If, I say, the mere voice of the then loving Saviour, when He was actually distributing His benefits, could inspire such fear, how will it be on that day when the same Man shall come in all His majesty and glory, surrounded by a thousand times a hundred thousand angels, having laid aside all His mercy and compassion, and resembling a ravening lion in His wrath and anger? 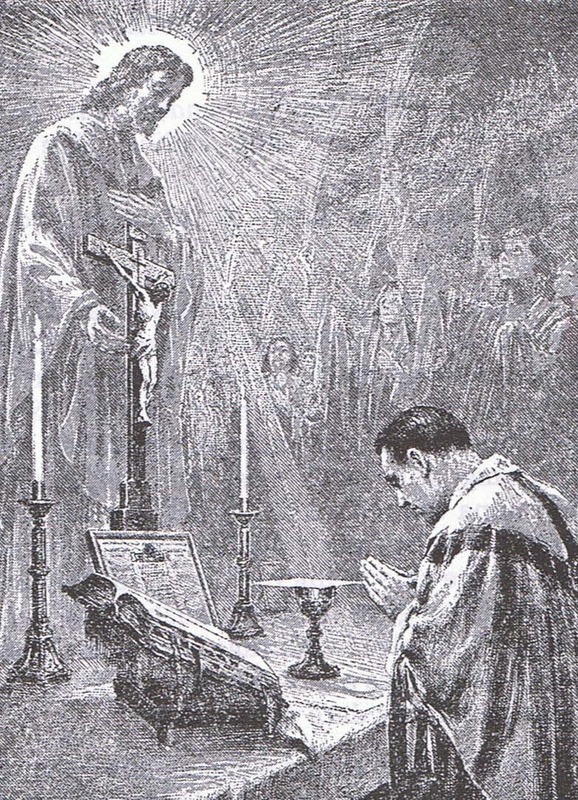 How will it be when He shall have the sinner bound before His throne, and shall speak to him in a terrible voice, upbraiding him with having neglected the example of his Saviour’s most holy life? Oh, “who shall stand to see Him?” Will you be able to do it, wicked Christian? But what am I saying? Will you, holy and innocent Job? Oh, no! he answers; I shall not be able to bear the sight of my Judge, nor to look at His face! “Nor shall the sight of man behold me: Thy eyes are upon me, and I shall be no more.” Let the heavens thunder and send forth their lightnings on that day in the most awful manner; let the sun be darkened and turn day into night; let the moon lose her light and become blood-red; let the stars in confusion fall from the heavens, the sea roar and pass its bounds, and all the living things on earth grow mad with terror: all that will not frighten me so much as one look of that Man. Of what Man? Of Christ Jesus! Oh that I may not have to face Him! Ah, above all things let us do what we can to ensure a favorable termination to our suit. If we have sinned and sinned often, and grievously even, let us not despair on that account. As long as we are in this life we have time to regain what we have lost, and to wipe out our sins so that they will not be brought up against us in the judgment. Now, incarnate God, Thy thoughts are full of peace towards me, and Thou art not minded to do me the least harm! Thine eyes are now opened to look on me with favor; Thine arms are stretched out to embrace me; Thy sacred head is bowed down; Thy whole body suspended on the cross, and all for my salvation and eternal happiness! 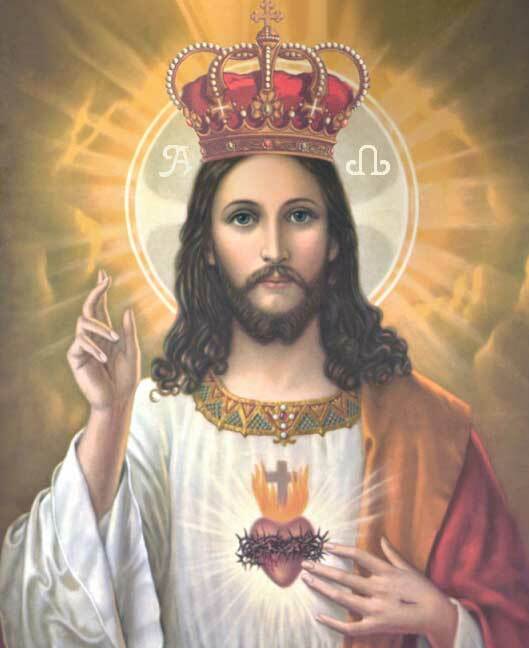 Without danger I may hide myself in Thy wounds, and even if I have often dealt Thee a death-blow by my sins, provided I now sincerely repent and implore Thy mercy, Thy sacred Heart pierced with the lance shall be my sure refuge, in which Thou wilt receive me again into favor! But if through my own fault I allow the time of grace to pass by, alas! then it is all up with me forever! Thy Godhead, Thy humanity, Thy love and fidelity towards me, Thy life and example, Thy very looks shall overwhelm me with shame and condemn me! And that this may not be the case let my life be always conformed to Thine in future, and this resolution, which I now renew, shall be the fruit of this and the other meditations I have made on the last judgment and Thy second coming. Sinners! I have said nothing yet of the terrible sound of the final trumpet which shall summon the dead out of their graves; nothing of the examination that shall take place in the judgment; nothing of the accusers and witnesses; nothing of the public manifestation of consciences and the intolerable shame of sinners before the whole world; nothing of the final sentence that shall call the just to the kingdom of heaven and condemn the wicked to the fire of hell. What I have hitherto treated of concerns only the Person of our future Judge, and this in itself is terrible enough, so that the bare remembrance of that Judge should fill even the most pious with fear and anguish. But there is yet another point which to my mind is still more terrible and worthy of admiration. What is that? Hear first what Father Ambrose Cataneus of the Society of Jesus writes of a celebrated preacher in Spain. 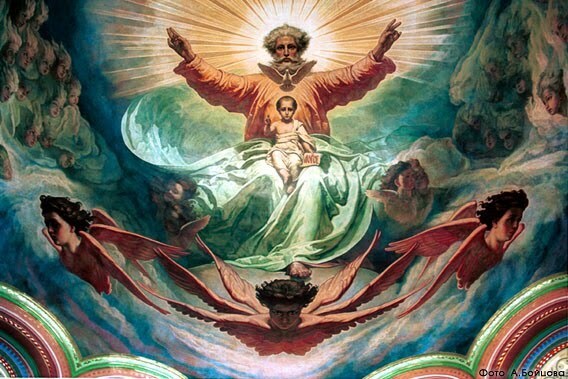 The latter was once representing to his audience, in his usual eloquent style, the terrors of the last judgment; he portrayed its severity, its strictness, and all the other circumstances of it in such lively colors that everyone was stricken with fear. “See there,” he cried out, “in the midst of that altar, in a heavy, black cloud, from which come forth fearful thunders and lightnings, that awful and strict divine Judge, formerly a God of love and mercy, but now a God of wrath and anger and vengeance; a God armed with the thunderbolt! See whole legions of spirits soaring through the air, all ready to take vengeance on the sinner! See those sinners formerly so desirous of honors now put to shame before the whole world; how they stamp with their feet in their fury! How they struggle with the chains that bind them!” These and similar things the zealous preacher described to his audience in a voice of thunder. 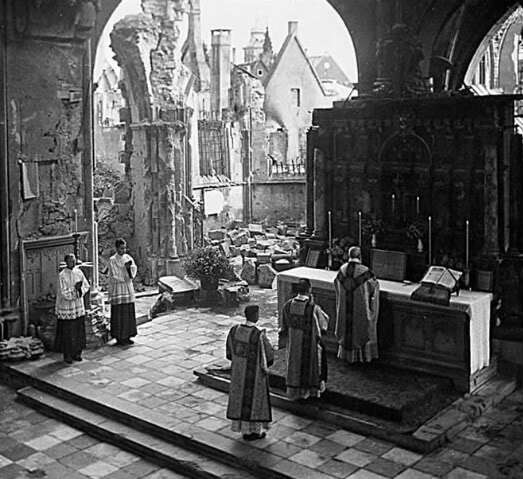 They were all as still as possible; all overwhelmed with fear; all hearts were moved to contrition, and at last the whole congregation broke out into tears. When the preacher saw the people so well disposed, he stretched forth his hand and ordered them to refrain from weeping, and to listen to the remainder of the sermon. “I have,” he continued, “a more terrible thing to tell you than all that I have described hitherto: a thing that alone ought to be bewailed with bitter tears.” The people waited eagerly to hear what was to come. “The most terrible thing of all,” burst forth the preacher with flaming eyes and awful voice, “the greatest misery of all is that you who are now filled with a well-grounded fear, and who are shedding tears of true contrition, after the lapse of one quarter of an hour will forget everything you have heard here to-day; all your present feelings, devotion, and zeal shall vanish; you will go back to your former sins, and to much worse ones; you will fall still deeper into the mire, heap sin on sin, and at last die in sin and be sent to hell on the last day. This is indeed the worst of all evils: to hear those terrible eternal truths, to take them to heart and acknowledge them, to weep bitterly, and mourn with a contrite heart at the recollection of them, and yet not to change for the better, or to give up old bad habits. What can be more deserving of wonder than this? 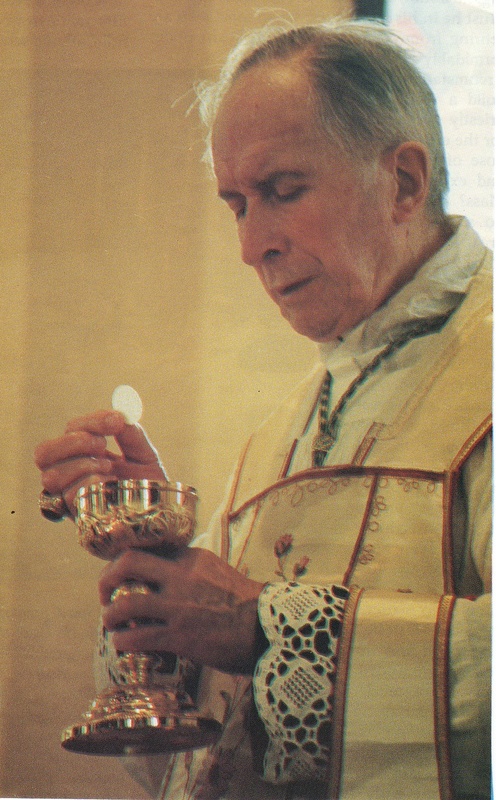 It is like the marble of which the altar is made; it weeps when the warm noon-day wind blows through the church, and becomes so damp that one might think it quite softened; but it is marble all the same, and harder than before.” So spoke the preacher, and left his audience filled with shame at his stinging reproof. Ah, my dear brethren, it is this very thing that seems so terrible to me too, that namely, after all that we have heard about our divine Judge and meditated about Him, to conceive a greater horror of sin, nevertheless most people still persist in their old vicious ways: the unchaste return to their filthy pleasures, the blasphemers to their cursing, the uncharitable to their detraction, the drunkards to their intemperance, while the unjust refuse to make restitution, and the vindictive to lay aside their hatred. Thus the sermons they hear about the divine justice only serve to make them more hardened in vice, and less excusable before the tribunal of the Almighty. This, I repeat, is what appears to me far more terrible than all that you have hitherto heard about Christ our future Judge; and that also is what I am most in dread of. God of goodness, effect the contrary by Thy powerful grace in our hearts, of which Thou art Lord and Master; grant that this fear of mine may be unfounded, and that instead of that fearful curse, which I dare no more utter through terror, we may all hear Thy loving voice inviting us, “Come, ye blessed,” enter into the joy of your Lord. Amen. 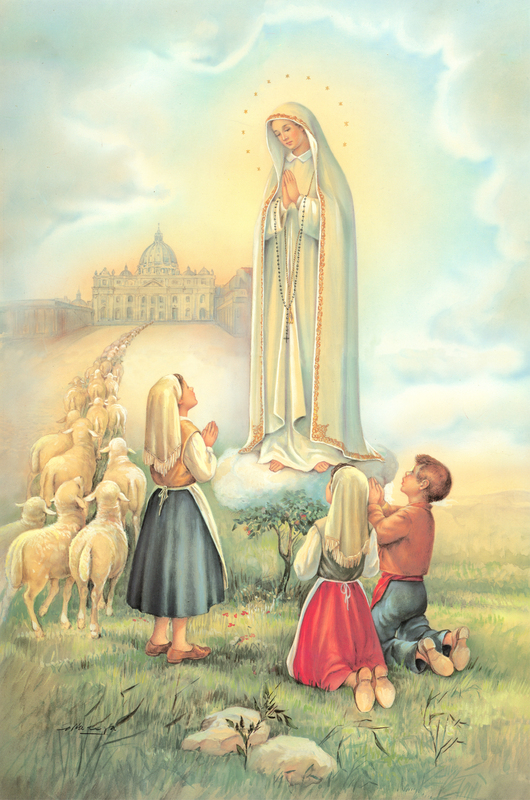 This entry was posted in God and tagged Catholic on May 12, 2015 by damselofthefaith. Part III of a IV part series on the person of God by Fr. Francis Hunolt (1694-1746). Nondum venit hora mea.–John ii. 4. So that Christ our Saviour had appointed for Himself certain times and hours in which to do certain things. He had determined to show His divinity to the world, and to confirm it during His life on earth by many miracles; but this was not to be done until the proper time came; then He began to change water into wine, to heal the sick in a moment, to cleanse lepers, to free the possessed, to give sight to the blind, hearing to the deaf, speech to the dumb, and to raise the dead to life. Whoever asked Him to perform such wonders before the time was answered in the words, “My hour is not yet come.” He had determined for the salvation of mankind to give Himself up to the rage of His enemies, to allow them to mock, scourge, crown Him with thorns, condemn Him to death, and nail Him to the cross; but this was not to happen till the appointed time. Therefore when the wicked Pharisees were seeking in all places to put Him out of the way, as St. John says, “They sought therefore to apprehend Him: and no man laid hands on Him, because His hour was not yet come.” But afterwards when the hour came for suffering. 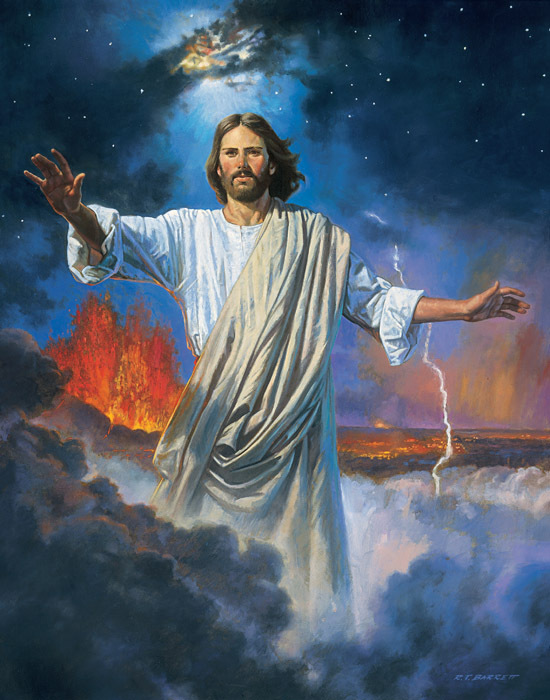 He Himself said to His disciple: “Behold the hour is at hand, and the Son of man shall be betrayed into the hands of sinners.” My dear brethren, the same Saviour has determined to revenge Himself on His enemies, and to condemn wicked sinners to the eternal flames of hell; but the hour appointed for that is not yet come. Now He bears many insults from them with the utmost patience; He shows Himself to them as their Saviour and Redeemer, their Pledge and Advocate; He is constantly offering them His grace, if at any moment they will only resolve to return to Him. But when His time comes He will appear with great power and majesty to judge the living and the dead. And how He will then be changed! Sinners! ah, do not wait till that hour of the Lord! Woe to you if you do not profit in time of the graces now offered you; for that meek and gentle Saviour will otherwise pronounce the final sentence on you, and condemn you to eternal damnation. Nay, He will condemn you all the more because He is your Saviour and Redeemer, as I shall now show. He, will condemn you on account of His fidelity to you, which you have neglected: the first part. He will condemn you on account of the love He has shown you, which you have despised: the second part. O just Judge and loving Saviour! that we may not be condemned by Thee in that last hour, speak now to our hearts, that the wicked may renounce sin, and the just be confirmed in their justice, through the intercession of Thy Mother Mary, and of our holy guardian angels. When a good, well-meaning friend offers to act as arbitrator in a case on which much depends, and after much trouble succeeds in bringing matters to a conclusion, and is insulted and abused by the unsuccessful party for whose sake he has chiefly undertaken the business, and whose case was evidently a lost one from the first, what think you, my dear brethren, would be his feelings under such circumstances? Oh ho! he would think, is that the way in which you treat me? I meant very well towards you; I took a deal of trouble to help you out of the mire into which you were sunk, but you will have to wait a long time before I espouse your cause again; I shall rather turn your accuser and publicly prove that your claim is unjust, and woe to you if I should be appointed your judge! We read in the fourteenth chapter of the Second Book of Kings how Absulom, after having murdered his brother, was forced to fly; Joab, the general of the army, succeeded, partly by the help of others and partly by his own immediate efforts, in reconciling him with his angry father, so that the latter recalled him, under the condition, however, that he was not to see him any more. But when that undutiful, disobedient son again rebelled against his father and set fire to the field of Joab, he had no more determined enemy than that same Joab who was before his warmest patron and advocate. Joab had neither rest nor peace until, even against the express command of David, he pierced the heart of Absalom with his lance. So fierce does anger become in one whose fidelity and friendship are despised. 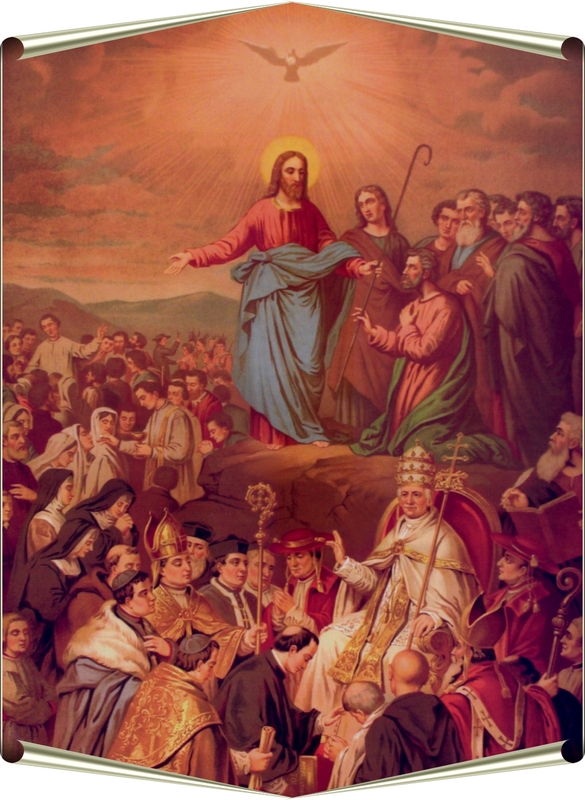 My dear brethren, the Mediator and Advocate between God and men, as we have seen already, is according to St. Paul, “One Mediator of God and men, the Man Christ Jesus: Who gave Himself a redemption for all.” If we sin, we have an Advocate and Intercessor with the angry Father, Who, if we only wish, will regain for us our lost cause, and that is the same Jesus Christ. “My little children,” writes St. John, “these things I write to you that you may not sin.” But he adds for our consolation: “But if any man sin, we have an Advocate with the Father, Jesus Christ the just, and He is the propitiation for our sins.” O sinner! how often have you not during your life experienced His faithful and loving desire to help you? I will say nothing of the benefits that are common to you with all men, and that you derive from His death, by which He reconciled to His Father the whole world that was condemned to eternal death. As often as you deliberately committed a grievous sin you made the almighty God your enemy, and deserved to be tortured in the terrible fire of hell forever with the demons. The sentence was already pronounced against you; your case was utterly lost as far as it depended on you; there was nothing more to be done but to carry out the sentence. And who saved you from that misery? By yourself you would never have dared to appear before the face of the angry God; that is, your natural powers were not able to win His favor and friendship for you. Was not Christ the Saviour, Who acted as your mediator and advocate when He lent you, as it were in the holy sacrament of penance, the infinite merits of His passion and death, and offered them up for you to His eternal Father, thus restoring you to the grace and friendship of God? And not once only did He do that for you, but perhaps seven and seventy times. Think of this now, and say with thankful heart: O dearest Friend and most loving Saviour! what do I not owe Thee! If I had not Thee as my Advocate, where should I have been long ago? I must thank Thee that I am not now in hell! Woe to you, O mortal! if you offend, insult, and reject this Advocate and Intercessor! Yet that is what you have already done, and done in a most outrageous manner, not merely once, but as often as you have fallen again into the sins you confessed, so often have you thrust Christ out of your heart, and said in the words of the citizens in the Gospel: “We will not have this Man to reign over us;” I will not have Christ as my Advocate; I do not want His intercession. Nevertheless with a patience greater than any man could use towards one like himself, that same Saviour has hitherto been your constant Friend, and He will remain so as long as there is a breath in your body, always ready to act as your Mediator and Advocate, and even in the very last moment of your sinful life to reconcile you to His angry Father. But woe to you, and woe to you forever, if you despise to the end this Friend Who will come when you know not, at the hour of your death! For this most faithful Friend of yours will then become your sworn Enemy to avenge on you His slighted friendship and to act as your accuser. Nay, He will be invested with full power from His Father to be your Judge and to treat you as He wishes. How does a man feel when a suit in which he is interested is left to the decision of a judge whom he has deeply offended, and who, as he knows, is his worst enemy? Ah, he would think, now there is no hope for me! Alas! it is all up with me! although in worldly judgments there is some way of escaping out of a difficulty like that by refusing to have such a one as judge on account of his partiality and hostility, and appealing to another whose decision will be unbiassed. Try that, O sinner! 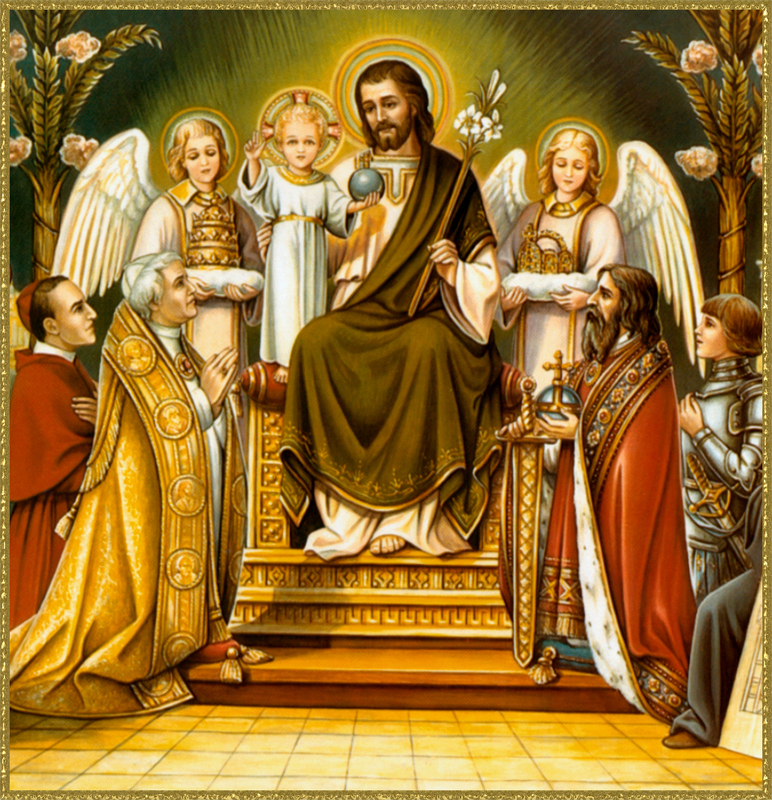 when you come before the divine tribunal, and there see Jesus Christ, Whom you have contemned and made your enemy; tell Him that you will not have Him as your Judge; that you appeal to another because you know that He is not favorably inclined to you. But your appeals and protestations will be of little service to you. That same Jesus Christ and no other will be your Judge, and will decide your fate for all eternity. Alas! what will be your feelings then? And yet they were thunderstruck with fear: “His brethren could not answer him, being struck with exceeding great fear.” According to Aristotle the proper effect of fear is to deprive a man of his voice, to shorten his breath, and to cause the blood almost to stagnate in his veins. Pererius remarks with reason that the great terror of the brethren came from the consideration of the two phrases, ” I am Joseph,” and “whom you sold.” Alas! there he is whom we knew to be such an innocent and amiable child, and whom we, nevertheless hated, persecuted, and treated so cruelly! He took our part with our father, and brought us food to the field with his own hands; but we cast him into the cistern and sold him! Now we are poor prisoners in his power and utterly undeserving of mercy. We are in the hands of a patience that we have despised and turned into just anger; of an innocence that we have ill-treated without cause; of a brother and well-meaning friend whom we have outraged in most unseemly fashion, and who is now master of our lives! “I am Joseph.” Ah, do not say those words again, or we shall drop down dead with fear! Richard, king of England, once lost his way while hunting in a dense forest, and as his attendants could not find him, he was forced to seek shelter in the hut of a charcoal-burner, who received him with the utmost discourtesy, and actually gave him a blow on the cheek. Richard, without giving way to anger in the least, kept quite still. 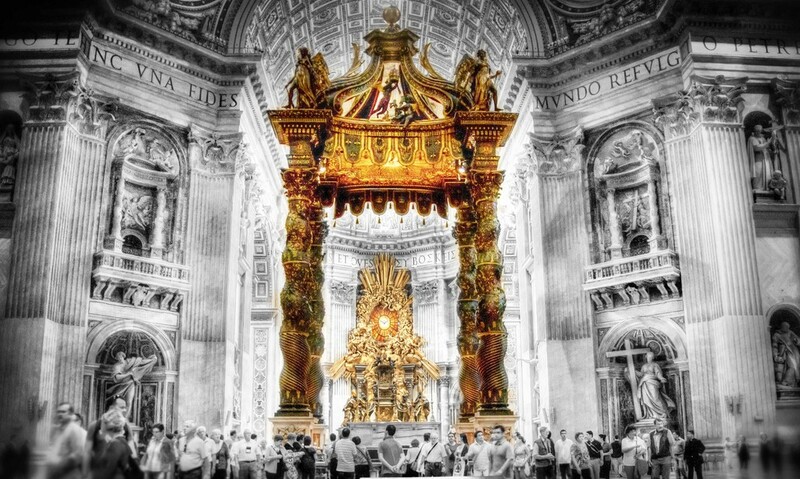 But when he came again to his palace, he put on his royal robes, and adorned with sceptre and crown, seated himself on his throne in great splendor, surrounded by courtiers and the noblest of the land, and protected by soldiers. He then caused his surly host to be summoned before him, and merely said to him the words: ” Do you know me now?” Whereupon the charcoal-burner fell down dead on the floor through sheer fright. Never is anger and displeasure greater than when it succeeds to great love: that is, when one is forced to hate him whom he loved before; just as the coals in a smith’s forge are sprinkled with water to prevent the flames from spreading, and retain the heat better. This comes partly from the fact that a great anger is required to overcome great love, and to effect such a change in the heart that it cherishes no thoughts but those of hatred and revenge against him who was before the object of its sincere affection; and partly because love, when it is scorned and insulted, embitters hatred and anger by the remembrance of the proofs of friendship that were offered to the beloved person, and of the insults that the latter returned for them. Thus no anger is greater than that of the mother who, being ill-treated by a wicked son, goes so far as to persecute to the death him to whom she gave life; all the love that she formerly had for that son now serves only to embitter her hatred of him; the blood that he drew from her, the milk with which she suckled him, the tears she so often shed for him, now remind her of nothing but the cruel ingratitude of which he is guilty, and thus add bitterness to her anger against him. To make my meaning clearer, suppose, my dear brethren, that a nobleman is very fond of the bride whom he has espoused a short time ago; he returns home after being absent for a whole day and finds her in the act of being unfaithful to him. What a blow that is to him! It seems to turn all the blood in his body into poison! His hand moves spontaneously to his sword to draw it and take vengeance on the guilty one, but the thought of the divine law restrains him; he swallows his rage as best he can. and runs off to his king, to whom he confides the secret of the shame he has suffered, and from whom he demands punishment on the adulteress. “Yes,” says the king, “I see how badly you have been treated; go now and deal with this matter as you think fit; I invest you with full power to examine into the case, to pronounce sentence, and to inflict punishment; you can act on my authority.” Now imagine that you are present and see, I will not say the whole trial, but merely the first meeting of the injured husband and the faithless wife. How his eyes seem to dart fire at her! How she is ready to die with shame and confusion! And how terribly these or similar words resound in her ears: I am your husband who loved you, shameless wanton that you are, more than my own life; I am the husband to whom you vowed fidelity and love, but you have shamefully broken your plighted troth. Have I deserved this from you? Have I ever given you cause to treat me so? Am I not good enough for you? But now I am your judge, and your life is in my hands! But there is no need for going farther; the mere sound of those words should be enough to cause the faithless wife to die of fear. O divine Lover of souls! Saviour of the world, Jesus Christ, Who in Thy unspeakable love hast taken the name of Mother and Spouse, how tenderly Thou hast loved us! And we have not far to go for proofs of Thy love. Thy annihilation in the Incarnation to draw our hearts to Thyself; the poor manger in the crib, in which Thou didst lie as a little Infant; the utter poverty in which Thou didst spend three and thirty years on earth; the fearful torments of Thy passion, in which Thou didst shed the last drop of Thy blood for us; the rods and scourges; the thorns and nails; Thy cruel death on the cross; Thy still open wounds; the precious body and blood Thou hast left us as the food and drink of our souls–these things I need not recall to memory. The tears Thou hast shed for us are in themselves sufficient proof of Thy love, so that I can say what the Jews said when Thou didst raise Lazarus from the dead: “Behold how He loved him;” behold how Jesus loved men! The love you have, O mothers, for your children; that you, O wives, have for your husbands, is nothing compared to the love of Jesus for the souls of men. But, alas! where shall I hide for shame; where run to for fear, if I die without repenting of the sins with which I have so wantonly broken faith with this Bridegroom, and have to appear before Him when He, filled with anger at my infidelity, shall come as my Judge, invested with full power to avenge Himself amply on me? How the words shall resound in my ears, as we read in the Gospel: “Behold the Bridegroom cometh.” How fearful to hear the voice of Him who loved me saying: adulterous soul, I am Jesus! I am your Bridegroom and Judge, whose honor you have grossly injured! “Under every green tree thou didst prostitute thyself;” you have allowed yourself to become a plaything of the demons! Not once, but often have I caught you in the act of being unfaithful to the promise you made Me on oath in baptism. I have often forgiven you, and forgetting the insults received from you, have readmitted you to My love and friendship. But you have rejected Me in spite of all! Adulterous soul! have I deserved that from you? What harm have I ever done you? Have I ever given you the least occasion to desert Me and go over to others? “What is there that I ought to do more to My vineyard that I have not done to it?” What better proofs could I have given you of My love? You loved that person who cast a friendly glance in your direction, and for his sake you hated Me Who have given My life for you. You loved that creature with whom you enjoyed a momentary pleasure, and you oust off Me Who promised you eternal joys. Day and night you served that great man of the world whose favor you hoped to gain; but one hour spent in My house seemed too long for you, although I wished to place on your head the crown of eternal life in heaven. For the sake of a piece of land or a little money you sold Me Who had prepared for you boundless riches and endless delights. To no purpose then has My love for you brought Me down on earth and nailed Me to the cross! To no purpose have I offered you My grace to make you holy and like to Myself! To no purpose have I instituted the holy sacrament of penance to cleanse you from your sins, and prepared the heavenly Food, My own flesh and blood, to unite your heart with Mine! To no purpose have I sent My preachers to urge you to amend your life and to call you to My eternal inheritance. To no purpose have I visited you with trials and crosses that you might enter into yourself, and see what a loving Spouse you had lost. To no purpose have I shown you so many sudden deaths and terrible examples that fear might at last force you to love Me. “What is there that I ought to do more that I have not done?” And you have rejected Me! Adulterous soul! you are now before My tribunal, and I–O cease, O Lord, I beg of Thee! Hell itself is more tolerable than those bitter reproofs from such a loving Saviour! “The confusion of my face hath covered me, for the voice of Him that reproacheth me. The bare thought of hearing such a reproof fills me with dread! Oh, my dear brethren, would that we too often thought of the coming judgment! Would that like that young man the thought of it inspired us with the resolution, I will not say of renouncing the world altogether and going into a desert, but of earnestly amending our vicious or imperfect lives! Ah, let us take deeply to heart and often consider this: if I cannot bear a word of reproof from a mortal like myself, how shall I be able hereafter to endure the bitter upbraidings of the slighted love of my future Judge, Jesus Christ? And moreover how many fine promises have I not made to my confessor? how many firm resolutions in secret before God to avoid sin, to shun the dangerous occasions of it, to forget the insults offered me, to give up the bad habit of detraction, cursing, and swearing, and to reform my life thoroughly and serve God more zealously in future? But what shall be said about all this at the last day? Fine promises! beautiful resolutions! See how that man has kept his word! 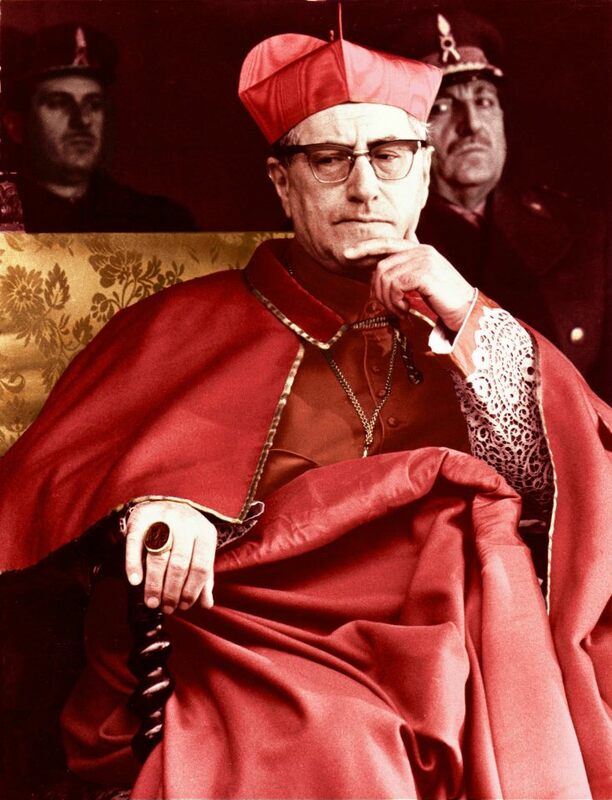 he was just as careless as ever after confession; he remained in the old occasion of sin; he was just as avaricious, unjust, intemperate, unchaste, proud, vindictive, and godless as before. How could I bear to hear such reproofs in the presence of Christ and His angels? Oh, no! I could never endure them! And therefore now at last, this very day I shall get rid of the load of my sins, and serve my God faithfully. How is it, my dear brethren, I often ask myself, that we make so little to-do about the last judgment? In my opinion the reason is because we imagine that day to be still far away from us and therefore we think there is no cause to be afraid of it. But how long do you imagine it will be before that day comes? We need not expect to have to wait for many centuries before the world is reduced to ashes and the last trumpet summons the dead out of their graves to appear before the tribunal of the Almighty in the valley of Josaphat. The day of death will be for each one the day of his particular judgment, in which he shall appear before the same Judge and hear final sentence pronounced on him. Is death then so very far away from us? Can we foretell the time in which we shall die? May it not be this very day? Ah, how stupid we are and senseless in what concerns our eternal salvation! Why do we not stir ourselves now before it is too late, and make use of the faithful service and intercession that Christ, our well-meaning Friend, Advocate, and Arbiter with the angry God has promised in our behalf, if we are only firmly resolved to avoid sin and amend our lives? Why do we not begin at once to love that most amiable Lover of our souls? Sinners! I pity you, if more deaf than the dead, who will rise from their graves at the sound of the last trumpet, you stop your ears to my words, or rather to the words that God speaks to you by my mouth, and if in spite of the consideration of the final catastrophe which shall cause all nature to shudder you still remain in your old sins; if you refuse now to hearken to my words, which are intended only for your good and to induce you to amend your lives, you must hereafter hear another voice–that of your Saviour–Who will speak to you of nothing but your eternal reprobation and damnation! Christ Jesus, Who art now our faithful Advocate and loving Saviour, and Who will be hereafter the Judge of the living and the dead, I beg of Thee with the Prophet David in the name of all here present, “Pierce Thou my flesh with Thy fear,” so that I may dread Thy judgments! Pierce my flesh, I say, because it is not enough merely to remember this fear now and then, or to speak of it and then forget it. Penetrate my whole body with this salutary fear! Pierce my eyes with it, that they may never look at impure objects; my tongue, that it may never sin by cursing, uncharitable talk, or unchaste discourse; my ears, that they may never hear detraction; my hands, that they may never be stretched out to take what I have no right to, or to indulge in unlawful actions. Pierce my whole flesh with Thy fear that it may lose its wantonness! And pierce my heart too, that it may never willfully give admission to sinful thoughts, but rather love Thee with all its strength, and that I may thus one day hear from Thy lips the words: ”Come, ye blessed, possess the kingdom prepared for you!” Amen. 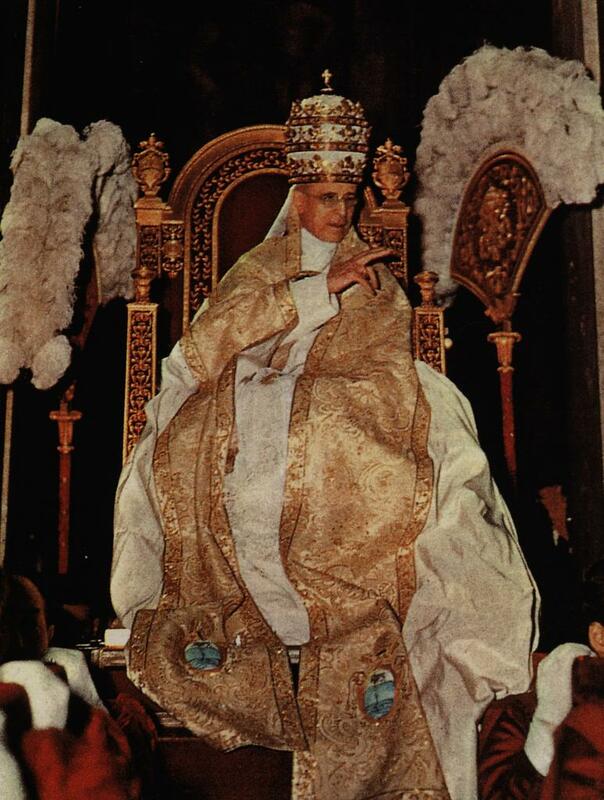 This entry was posted in God and tagged Catholic on May 6, 2015 by damselofthefaith. Et videbit omnis caro salutare Dei.–Luke iii. 6. Dearr Saviour! is it Thou who art to be our Judge on that day when all flesh shall rise from the grave? If so, why did I in the last sermon cause such alarm to myself and others by representing our Judge as a strict and merciless God? Thou art Man like to us, and hast loved us even to death. So it is, dear Christians. Rejoice, for we have a good Judge; our case will be tried under favorable circumstances. Rejoice then, pious Christians, who by your virtuous lives remain always in the friendship of your Judge. But sinners, alas! as far as you are concerned, you have just as much reason to fear as ever, unless you turn from your evil ways. He who will judge us is Jesus Christ, a Man like ourselves, that is true; but the sinner has no less reason for fear on that account, as I now proceed to show. Because the Man Who will judge us shall then be quite different towards the sinner from what He now is: the first part. Because the sinner who is to be judged shall then be unworthy of pity or mercy from his Judge; the second part. Therefore let us change our lives in time if we wish to find our Judge favorable to us: the conclusion. And we hope that the same Judge will give us grace to observe it, through the intercession of Mary and of our holy angels. O meekest Saviour! gentle Son of man! let me here again ask Thee, in the words that Thy precursor St. John said to Thee by his disciples, “Art Thou He that art to come?” Art Thou the Man that art to come as the Judge of the living and the dead? “Or look we for another?” No, no other; I am the one! “The Father hath given all judgment to the Son.” To what Son? To that very Son Who, meek and patient as a lamb, had not a word of contradiction in His mouth. “Then they shall see the Son of man coming in a cloud,” says St. Luke, speaking of the last judgment, as we have seen already. Away, then, with all fear and dread! I repeat: if that Man Who has just been described is to be my Judge, I could, not have or wish for any one better, or more favorable, or more gracious. No; it is Thou, Jesus Christ, my Saviour, and no other, whom I expect and desire as my Judge! But, alas! I am not over-confident when I consider my own misdeeds, and the possibility of falling unrepentant into the hands even of this Man. O sinner, do not flatter yourself with a vain hope! Yes, it is that very Man who will judge you; but ah, He will be quite changed and altered from what He was before, from what He is at present towards you. All His mildness and tenderness shall be turned into severity and bitterness; all His pity into sternness; all His meekness into anger and indignation, when you shall behold Him coming in His power and glory. All the titles He has assumed out of love for men shall then be no longer used by Him; it will not then be said of Him: “Behold the Lamb of God; behold Him who taketh away the sins of the world,” but rather: behold ”a lion ravening and roaring,” Who comes to devour His enemies! Father, Brother, Friend, Spouse, Saviour, Mediator, Intercessor, our Pledge with God; alas, there is an end of all that! His only name and title when He shall appear on His throne will be that of a strict Judge, whose duty and obligation it is to condemn those who are convicted of guilt, and sentence them to public execution, but in no way whatever to intercede for them or obtain a mitigation of their sentence. A Greek philosopher was offered the position of judge, and as is usual in such cases, his wife, children, friends, and neighbors came to congratulate him; but all he said to them was: “In future I look on myself as a stranger to all of you.” Wife, thou knowest my heart and affections, and how I have loved thee hitherto. Children, you know that I have cared for you up to this as for myself. Friends, I have always been faithful to you, as you are well aware. But pardon me if I now speak the truth to you; I must be a stranger to you henceforth; all our relations are at an end; the change of office has also brought a change in my love and affection; I am now your judge, and therefore I cease to be your husband, father, and friend. Look on me therefore in future not otherwise than as a stranger. His meaning was: my present duties have no regard for love or friendship; if you commit a crime, I shall punish you just as I would any other criminal. Christian souls! in the same strain and even more emphatically will Jesus Christ, the most just of all judges, speak to you on the day when He shall appear in His majesty and glory, and seat Himself on His tribunal before heaven and earth: Christian soul! thou knowest the tender affection and love I have always had for thee during thy life on earth, as long as thou didst remain My faithful spouse in the state of sanctifying grace; thou knowest that while thou wert My child I loved thee better than My own life, which I gave up in pain and disgrace for thy sake that I might enroll thee among the number of My children, and keep thee there forever; thou knowest; that I have often admitted thee to My Table, and fed thee with My own body and blood, or at least that I was daily prepared to give thee this heavenly food. Thou must also acknowledge that when thou wert actually abandoning, despising, offending Me as thy sworn Enemy, and treating Me most unjustly while thou wert in the state of sin, I did not even then cease to heap benefits on thee; that for years and years I have borne with thee most patiently; that I have often gone after thee like a beggar imploring a crust of bread, and knocked at the door of thy heart, pressing as it were with violence on thee My grace and the pardon of thy sins; that as Mediator, Intercessor, and Pledge, I have promised to reconcile thee with My heaveniy Father. But now I am neither thy Spouse, nor Father, nor Friend, nor Pledge, nor Advocate; My office is changed; I am nothing now but thy Judge, and all I have to do with thee is after a strict examination of all thy actions to exact full satisfaction for all thy sins, even to the last farthing, and as thou art not able to pay, to condemn thee to eternal flames. Alas, how different that is to what He used to say! “The Son of man is come to seek and to save that which was lost.” Yes, that was true; but it is so no longer; the Man has changed. O meekest Saviour! remember, I beg of Thee, how often Thou hast said: “Go then and learn what this meaneth: I will have mercy and not sacrifice. For I am not come to call the just, but sinners.” True, such was the case then; but it is so no longer; now I am come to judge the living and the dead; now I am come to call the just to heaven, and to condemn the wicked to the everlasting flames of hell. And, O Judge of infinite holiness, I must acknowledge that Thou art perfectly right! Thou canst not do otherwise; Thou shalt be compelled to turn Thy patience and meekness into wrath and indignation, and to deal with the guilty according to the strictness of Thy justice. You yourselves, O sinners, must acknowledge that when the crime in question is clearly proven and the perpetrator of it convicted, and he himself confesses his guilt, and when moreover the crime is clearly one that deserves the gallows, then there is no longer place for grace or mercy; the judge has no power to pardon, but is forced to sentence the criminal according to the rigor of the law, even if it were his own son whom he has to condemn to the extreme penalty. Now on that day, when the great account-book is opened, in which all our thoughts, words, and actions are written down; when moreover the consciences of all men shall be laid bare before heaven and earth; when besides, as we all know, the divine law condemns to hell all who are found guilty of mortal sin that they have not blotted out during life by sincere repentance; what else can the Son of man as the Judge of all men, appointed to that office by His heavenly Father,–what else can He do but punish the guilty according to the strictness of the law? All the circumstances of the case are evident, and nothing remains but to pronounce the terrible sentence: “Depart from Me, you cursed, into everlasting fire which was prepared for the devil and his angels.” But, O God of goodness, if a judge appointed by the sovereign has not the power of showing mercy to the convicted criminal, yet we know that that power is held and is often used by the sovereign himself. Now Thou art the King of kings, and the only law-giver. Canst Thou not then respite a poor mortal in this case, and save him from eternal torments, or at least sentence him to a milder form of punishment? No! “I am the Lord, and I change not.” I am the Lord, and never retract what I have once uttered: “Heaven and earth shall pass away: but My words shall not pass away,” nor be frustrated. And, my dear brethren, suppose that Our Lord could change His law, and as supreme Judge show mercy on the last day; to whom should He show it? To the sinner, who departs this life without repentance? But for what reason? There must be some motive to urge the Judge to be merciful in such a case. And no such motive is at hand; for the sinner who is to be condemned shall then be utterly unworthy of any favor or mercy from his Judge. There are three motives which can move the judge to pity, or justify the sovereign in dispensing the poor criminal from suffuring the extreme penalty of the law. First, when the crime is committed through accident or misfortune, without deliberation and for the first time. In such a case something is accorded to human weakness; for instance, if a man who is otherwise peaceably inclined happens to be overcome by drink, and in a fit of passion plunges his sword into the bosom of his friend. Hardly is the crime committed when he bewails his unfortunate friend with bitter tears, and actually gives himself up to justice, acknowledging that he deserves death. All agree that a homicide of that kind deserves compassion, and should be treated far more leniently than one who is always on the look-out for quarrels, and deliberately attacks a man and kills him. The crime of the first was due to sheer misfortune; that of the second to malice. Again, if the guilty person is of importance in the country, or of a good family, or nearly related to the judge himself, he is generally dealt with more mildly, or even released altogether from punishment. But if he is a stranger, unknown, a bad character, caught amongst the hedges and ditches, and convicted of crime, then there is no mercy for him; he must away to the gallows. Thirdly, the sovereign is often moved to pity and pardon, or at least to mitigate the sentence of one who has the tears of his wife and children, or the favor of some powerful man to intercede for him. Oh, how many would have lost their lives if it were not for such intercessors! Mark, O sinner, how ill provided you are in this way! If we die in the state of mortal sin, neither you nor I shall have one of these motives to plead for us, even if the Judge were capable of changing; nor shall there be anything whatever to move Him to be favorable or merciful. We shall examine the matter in order according to the rules of right reason. And, in the first place, shall we be able to allege that our past sins and obstinacy in remaining in them was merely the result of weakness, or indeliberation, or accidental misfortune? But how could we say that? Were we not well aware when we committed the guilty act that impurity, vindictiveness, injustice, gross uncharity, voluntary intoxication, or grievous scandal must be a mortal sin? Did we not know that the sovereign God, to whom we owe all respect, obedience, reverence, and love, is grievously dishonored by such actions, and that they offend and insult Him before His very eyes? Did we not firmly believe that the same God has strictly forbidden each and every mortal sin under pain of eternal damnation? And in spite of all this we have not restrained ourselves, but of our own free will, with full deliberation, for some wretched thing, to gratify our senses, to make some trifling profit, to please a mortal creature, we have accomplished the sinful act. Have we not had examples enough of condemnations to eternal torments, examples that were intended to warn and terrify us, for these and similar sins? Millions of angels, creatures of a far higher order and much more capable of serving God than we are, sinned only by a momentary thought, and at once, without mercy, without having a minute granted them for repentance, like lightning they were hurled by the divine justice into the abyss of hell. That we have believed. Our forefather Adam sinned against the divine command by eating one mouthful of an apple, and he was at once turned out of paradise and condemned to eternal death with all his posterity. 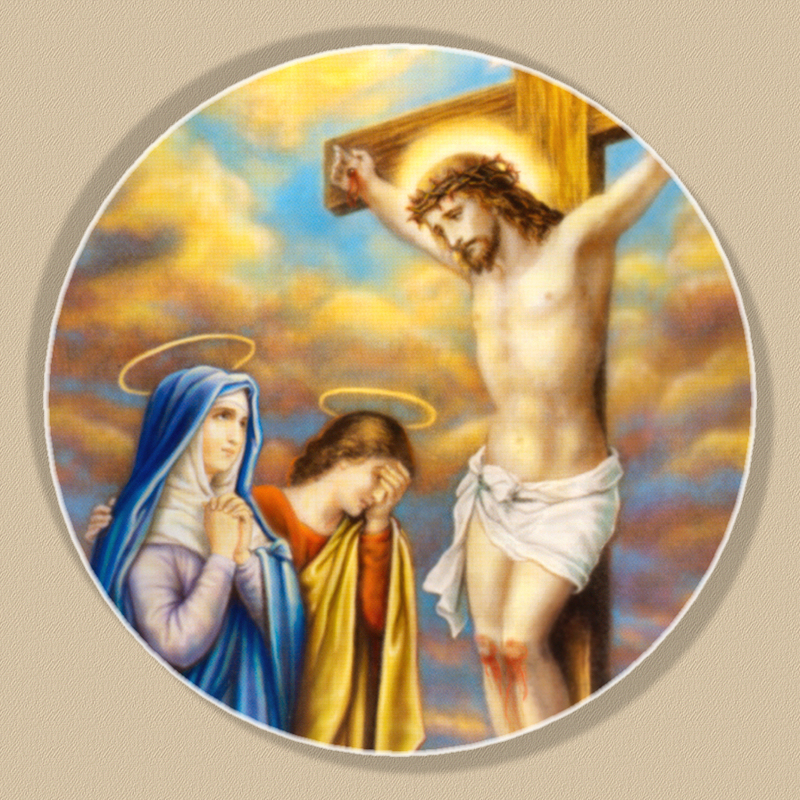 We still feel and suffer the hard punishments of this first sin; to atone for it the God of infinite justice and mercy allowed His only Son to be crucified on the gibbet of the cross, and cruelly done to death. That we have believed. Countless human beings have been condemned to hell for their sins, and they are burning there now and will burn forever. That we have believed. And yet it has not had the slightest influence on us; we have sinned without hesitation, shame, or fear. Can such guilt be attributed to mere misfortune? Can it be called deserving of mercy or pity? Does it not rather resemble the conduct of the thief who robs his very judge on the place of execution, while another thief is being put to death for a similar crime? And how could we lay the blame of our sins on human weakness if we remained in them without doing penance? It is true, says St. Gregory, that a man sometimes commits a sin on account of a very alluring occasion, or because he gives way to temptation through the violence of his evil passions and inclinations; but after the sin he enters into himself, repents, and heartily detests the guilty action. Such a case indeed deserves pity, and can well be ascribed to human weakness; for “to sin is human, but to persist in sin diabolical.” But not to rise again after the fall, to remain in sin for a long tine, to put off repentance and wilfully expose one’s self to danger while death is liable to surprise one at any moment, and bring with it eternal damnation; that indeed is devilish, nay, worse than devilish, for the demons have never had a moment granted them in which to repent. 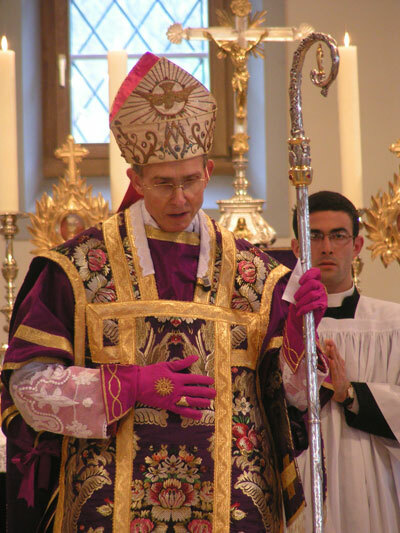 And is not this the very state of him who dies in mortal sin? Does not the divine mercy concede him time and opportunity enough to repent of and confess his sins, and free himself from his misery if he wishes? Meanwhile he has not profited of that time, but has remained for weeks, months, and years in sin, until he is at last surprised by death. Could such a man lay any claim to pity, mercy, or grace from the Judge whom he has despised? No! Such a thought would be a presumption that should arouse the indignation of any reasoning man. Again; I go, for instance, along the street, and see a dog lying there, lamed and crippled, and howling most piteously; oh! I say to myself, that is only a brute beast; he may die there for all I care; and I go along my way in utter indifference, or at most, if the matter interests me in any way, I should in all probability ask some one to kill the dog in order to stop his howling. On the other hand, if I met even the lowliest mendicant in a similar condition, I should certainly try to help him if my heart were not of stone. Why so? Because he is a man who has the same nature, and therefore some relationship with myself. All we human beings are members of the same Head, and therefore we must sympathize with the misfortunes of our fellow-men, as St. Paul says: “If one member suffer anything, all the members suffer with it. Now you are the body of Christ, and members of member.” We have not the same feelings of sympathy and compassion for a dog or another animal, because they are not united with us by community of nature. Now tell me: is the sinner in any way related to our future Judge, so that He should have some reason for pitying the guilty one who is sentenced to eternal torments? As long as a Christian is in this life he is one of the members of Jesus Christ, from whose mystic body he is, so to speak, never separated, as long as he does not apostatize from the true faith; therefore on account of that relationship Christ is always full of pity for even the greatest and most wicked sinners; He is always running after them to offer them His grace, and He speaks inwardly to their hearts to warn and rescue them from the state of sin and bring them to heaven. But after death, on the day of judgment, he who persists in sin shall no longer be related to Christ, nor concern Him anymore than a dead dog now concerns me; for all relationship is broken off, and the sinner is not merely a rotten member, but is actually and completely separated from the body of Christ. Now an amputated foot, as we know, cannot cause pain; it may rot and be thrown out on the dung-hill like any other piece of carrion. “Depart from Me, you cursed,” shall Our Lord say to the reprobate; you are condemned and cast off; I know you no more; you are not members of Mine; you will never have part with Me, and therefore I have not and cannot have any pity for you in your eternal misery. Finally, where are the patrons, the petitions, the sighs and appeals for mercy? Where are the tears that should flow on the last day to implore pardon for the sinner? Unhappy sinner, look around you and see if there is anyone to put in a word for you with your Judge! Look up! 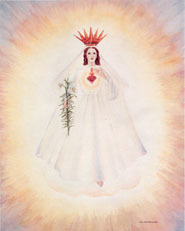 See Mary the Mother of mercy, the Refuge of sinners; she can do anything with her divine Son; perhaps she may help you? Look up and see the great host of saints, friends and children of God, the choirs of angels and ministers at the great Throne; can they do something for you? Alas! a vain hope. They, too, know you no longer! “The sun shall be darkened,” says the Gospel of that terrible day: and not only will the Sun of justice, Jesus Christ, be obscured for the sinner, but also “the moon shall not give her light:” Mary, that bright Moon, shall have no light for him; “and the stars shall fall from heaven:” the chosen saints, those brilliant stars in the firmament, shall fall, that is, they shall have neither the power nor the will to help the sinner by even a single word uttered in his favor; “the powers of heaven shall be moved:” that is, the angels shall rise up against the sinner and drive him out of the chosen flock of Christ as a loathsome goat. And is there no one then to implore the mercy of the Judge for him? No; not one. But if, on the contrary, many voices shall be raised to embitter the Judge’s anger, what shall then become of the sinner’s hope? If an earthly judge saw before him the bleeding corpse of a murdered man, which in itself cries loudly enough for vengeance, and heard moreover the lamentations of the widow, the cries of the poor orphans calling out: Justice, O judge! 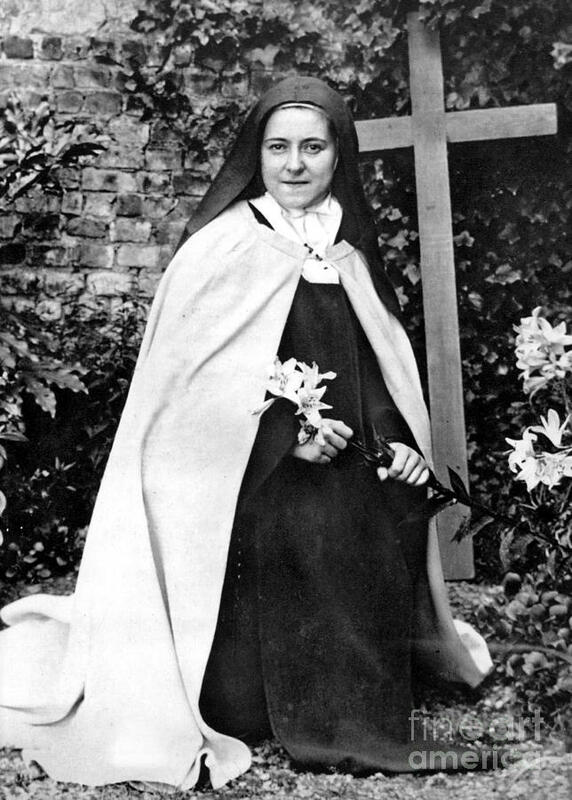 there is the assassin who murdered our dear one and reduced us to this destitute condition, for we have no one now to provide for us; justice therefore on the wretch! let there be no mercy for him! what would you think, my dear brethren? There is no doubt that even if the judge were at first inclined to be merciful, those circumstances would inflame him with anger and turn his compassion into fury. And, O sinner! there shall be similar voices crying out for vengeance on you at the last day. Your own soul shall cry out against your body and say: this is the wretch that has slain me with its impure desires and love of luxury! And the body will cry out against the soul: this is the wretch that has conceded so much to my sensuality, and not held me in check by its reason, as it should have done; thus it has become the cause of my eternal damnation! And such, too, shall be the exclamations of all those whom you have led into sin by unlawful gestures and signs, by wicked talk, by impure solicitations, and love-letters, by indecency in dress, and bad example? this is the man, O just Judge, who has robbed us of our innocence! He it is who has taught us what we should never have learned! He it is who has led us so far astray that we have offended Thee! Children shall cry out against their father and mother: my parents are the murderers of my soul; they should have brought me up to Thy service, O Judge, but they neglected their duty and taught me nothing but the vanity and sinful customs of the world, or else they allowed me to indulge in them and did not punish me on account of that as they should have done. Such, too, shall be the cries of the weak whom you have oppressed and persecuted, of servants, laborers, and tradesmen whom you have defrauded of their just wages. Your wife shall accuse you of having treated her worse than a servant, and of having spent what belonged to her in drinking and debauchery, so that she had to suffer hunger with her children. All these will cry out in the words of the Apocalypse: “How long, O Lord! (holy and true) dost Thou not judge and revenge our blood?” And this is what the Holy Ghost prophesied long ago by the Wise Man: “Then shall the just stand with great constancy against those that have afflicted them,” and against all by whom they have been in any way persecuted and oppressed during life. From this we may conclude what sort of a sentence he has to expect on the last day who dies in the state of sin, and whether he has any reason to hope for grace or mercy from the otherwise meek and gentle Son of man. Oh, truly! neither the Judge, who will then be quite changed from what He now is, shall feel the least pity for the sinner, nor shall the latter have the least title to mercy. Therefore, Christians, let us fear, honor, and always love with our whole hearts the Man Who will come to judge the living and the dead. Alas! Jesus, my Saviour and Redeemer, if I should be so unfortunate as to leave the world in the state of mortal sin (may God save me from such a fate! ), how terrible it will be to appear before Thee and to see Thee so changed and embittered towards me! How could I bear that change? I have never seen Thee as yet. Happy they who have beheld Thee as an Infant in the crib, or as a Victim for our sins on the cross! I have not had that happiness; but I believe without seeing! My faith convinces me that Thou art my only happiness, and alone canst satiate all the desires of my heart; my hopes and desires draw me constantly thither where I can behold my sovereign Good; and when I see Thee for the first time, must it be also for the last time for all eternity? And during the short time that I shall be in Thy presence, must I see Thee only as my Judge and, alas! as a terrible, angry, implacable Judge Who will condemn me, and as the first welcome will address to me the words, ” Depart from Me;” away, accursed one, into eternal fire? Sinful soul! what are you waiting for after such thoughts as these? Are you not yet resolved to do penance, to amend your life, and to escape such a terrible judgment? Wicked desires, sinful joys of the wanton flesh, money, and temporal goods, point of honor, human respect, vanity of the world, beauty of a mortal creature, will you still so blind me that for your sake I shall commit sin and make an Enemy of my Judge? What could be more foolish or more desperate? No; meek and gentle as Thou art, Jesus, my Saviour, “I am afraid of Thy judgments,” and therefore as far as my past life is concerned, I will cry out to Thee with a contrite heart, and bewail all my sins. I acknowledge myself to be a poor sinner; I bow my head with shame before Thee. Pardon me, O Jesus, before Thou comest to judge me! And with regard to the uncertain time that remains to me, I shall at once begin to lead a better life, so that when I see Thee as my Judge Thou shalt not be changed towards me, but be the same meek and loving Man as Thou always art. Amen. 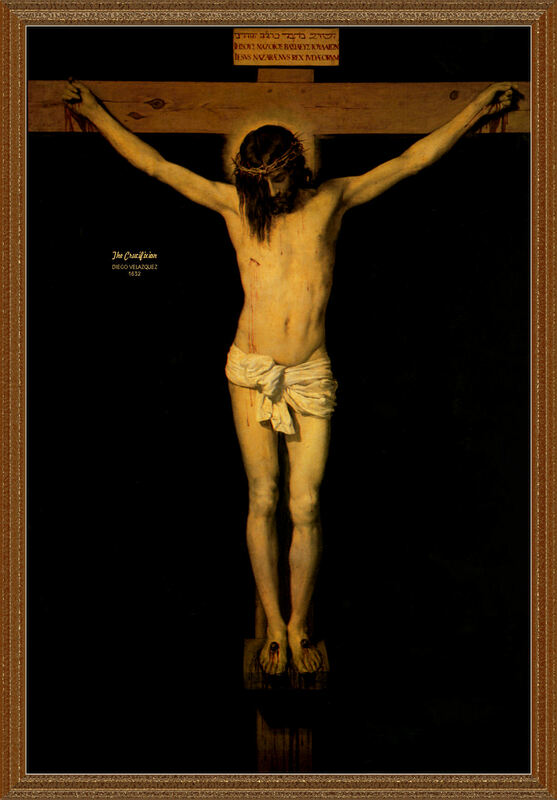 This entry was posted in God and tagged Catholic on May 4, 2015 by damselofthefaith. There are two circumstances worthy of note in this visit of Our Lord: first, the manner in which He comes to His disciples; secondly, the object of His coming. “Jesus cometh;” how? Quite unexpectedly, when the disciples in all likelihood were not thinking of Him. He did not even open the door of the room, “‘the doors being shut,” but entered through the closed door, and “stood in the midst,” before they had the least idea of His being there. Why did He come? To comfort with His presence His disciples, who were at the time abandoned, sorrowful, and fearful; and especially to confirm in the faith the doubting Thomas, and bring him back to the right path. Therefore when He had greeted them all with the words, “Peace be to you,” He turned to Thomas and said to him: ” Put in thy finger hither, and see My hands, and bring hither thy hand, and put it into My side: and be not faithless, but believing.” Whereupon Thomas, submitting at once, exclaimed: “My Lord and my God!” My dear brethren, hitherto we have treated of another coming of Jesus in which He shall appear in the midst of all men on the last day of general judgment. Although, as we have seen, many terrible signs are to precede His coming. His advent as Judge shall be quite sudden and unexpected. And for what purpose? No longer to comfort and convert men, but to judge the wicked strictly and condemn them to the fire of hell. Oh, what a terrible coming! 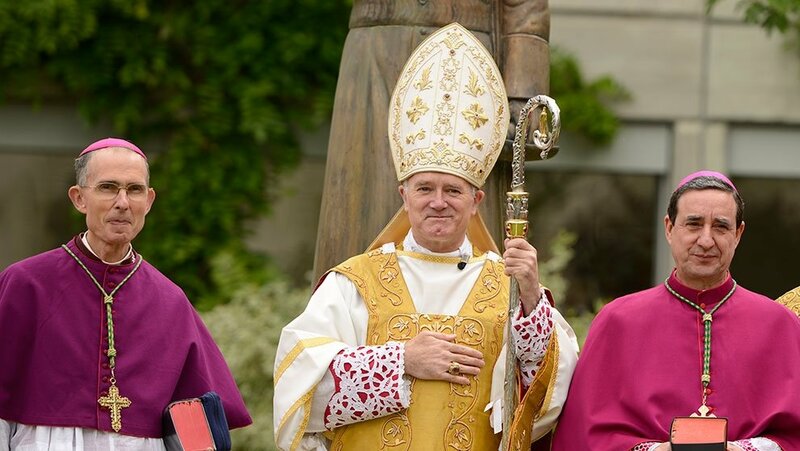 With reason does the Church sing: How men shall shudder at the coming of the Judge! And who is that Judge? This I shall partly explain today. He will be an exceedingly terrible Judge, especially to those who have a bad conscience. Such is the whole subject of this sermon. A terrible Judge, because He is God: the first part. A terrible Judge, because He shall then be a God without mercy: the second part. To the end that we may all be inspired with a greater horror of sin, and a greater zeal in the divine service. Grant us this by Thy powerful grace, O God, who art still merciful, before the time comes when Thou wilt judge the living and the dead without mercy: we beg this of Thee through the Mother of mercy and our holy guardian angels. Although God is infinite goodness in His substance and essence; although He is an infinite Good, worthy of all honor and love; although He is the only Good that a creature can long for and desire for perfect happiness, yet His very name is enough to fill the good with reverence and the wicked with fear. When Adam had lost his innocence, the voice of God in paradise filled him with such awe that he hid himself among the trees of the garden: ” I heard Thy voice; I was afraid, and I hid myself.” “O Lord,” says the Prophet Habacuc, a holy friend of God, “I have heard Thy hearing and was afraid.” I was filled with awe and consternation. Although the Israelites in the Old Law were the chosen people and were called the people of God, yet when they heard His voice from afar coming out of the dark cloud, “being terrified and struck with fear they stood afar on, saying to Moses; Speak thou to us and we will hear: let not the Lord speak to us, lest we die” through excessive awe and terror. Thus they preferred to deal with a mortal like themselves in preference to God, whose greatness and glory they feared and could not endure. And I quite agree with them. Oh, my dear brethren, if mere men were to judge me at the end of my life and on the last day, I should not be half so much afraid of the judgment, although I have often and grievously transgressed, for I should have some hopes of making out a good case for myself and escaping condemnation. If mere men were to be our judges, then you, great ones of the world, princes, kings, and emperors, would have little to fear! Why? Eh! do we not know how partial earthly judges sometimes are? In olden times Solon used to say to the Athenians: ” Your laws are like spiders’ webs.” They catch small flies, but allow the large ones to break through. We Germans have a saying to the effect that the little thief is hung, while the big one gets off scot free. Why so? The power and authority of the judge is often not enough to coerce the criminal, for the latter can frequently wield a mightier weapon than his judge; his exalted position, authority, or wealth enables him to pervert the ends of justice and make its officers look on black as white; and even if the sentence is pronounced, it frequently happens that the power of carrying it into execution is wanting. Again, justice is represented with a sceptre in the hand, in which there is an open eye, signifying that the judge must have not merely the power of punishing criminals, but also the wisdom and knowledge required to perform duly the duties of his state. And in this respect, too, there is often a great want, so that earthly judges are not able to inspire malefactors with due fear of punishment, and the latter consequently wax daring and confident in their evil deeds. What a number of crimes are committed in the world and never punished because the judges know nothing of them! What a number of criminals are got free by dint of false swearing, or through want of sufficient proof against them! And how many an innocent man, as St. Augustine complains, is condemned, while the guilty one is pronounced innocent; and this because the earthly judge fails to see the guilt of the one and the innocence of the other! 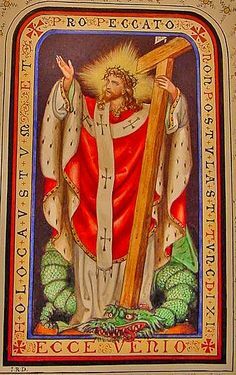 The mighty power of this Judge was not visible when He was amongst us on earth as a poor, weak mortal, like to us; but it will appear on that day, when He shall be seen seated on a throne with great power and glory. 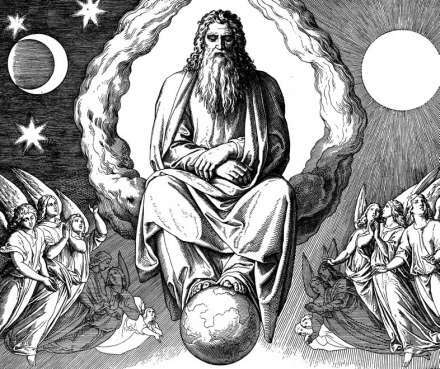 When He was subject to the judgment of men the world did not know Him; but He shall be known when all men shall have to submit to the sentence He pronounces on them: “The Lord shall be known when He esecuteth judgments,” when He shall exercise His authority as Judge of the whole human race. Who knew what a great, mighty Lord he was when He was bound in chains and led before the high-priest, and when He stood so humbly before Pilate and Herod? But the day shall come when all mankind assembled in the valley of Josaphat shall shake with fear before His tribunal: “The Lord shall be known when He executeth judgments.” Who saw any trace of an Almighty Godhead in Him when He was condemned to death as a poor sinner amid the jeers and laughter of the Jews, and nailed to the shameful cross? But wait till He pronounces the sentence of condemnation on the judges, kings, and emperors of earth: then “the Lord shall be known when He executeth judgments.” He still abandons Himself, as it were, to the wantonness and contempt of wicked men, as if He were unable to defend Himself or to restrain their malice; but let them fall into His hands on the day of His wrath: then they shall feel whom they have been fighting against, and what a mighty Lord He is whose anger they have provoked. “If,” says the wise Ecclesiastes, “thou shalt see the oppression of the poor, and violent judgments, and justice perverted in the province, wonder not at this matter;” be not surprised at the prosperity of the wicked, the persecutions the just have to suffer, the oppression of poor widows and orphans, the pride and wantonness of the rich; ” for he that is high hath another higher,” Who will one day justify His judgments before the whole world, and they who seemed to bear the globe on their shoulders shall have to bow down before Him. In the History of Greece we read that the hero Agesilaus was small of stature but great in mind and valor, skilled in arms and generalship, and one of the greatest heroes of his time. King Agis had a great desire to see one of whose exploits he had heard so much; but when he met Agesilans he began to ridicule him, and said in a mocking tone: “I behold an ant, when I thought I should see a lion.” Ready and clever was the answer Agesilaus gave the proud king: “I seem an ant to you,” said he, “but one day you shall find me out to be a lion,” The same answer is suited to those who now during life do not fear the great God, despise Him, sin recklessly, and remain obstinately in sin as declared enemies of God. They see in our churches pictures or carved images representing our divine Lord in a very lowly and apparently despicable state, as a weak Child in the crib, or as a dying Man hanging on the cross, or else they know that He is concealed under the white Host from which no thunders or lightnings flash forth to announce His majesty, and from this they conceive a low idea of God, and do not fear to offend Him by transgressing His commandments. But He whom we now treat so contemptuously shall one day appear as a lion, and fill all creatures with awe by the might of His greatness. Be comforted, ye just and pious Christians! He Who will judge us is an almighty God, and consequently He is able to defend you against those who now oppress you, and it is from Him that you have to expect the reward of your piety. But on the other hand, woe to us, O sinners! if we fall into the hands of this Judge burdened with debt. There is no chance of escape from Him, because He is the Almighty God! O Christians! let us think and say with St. Bernard: “Great is the necessity we are under of leading pious lives, since we act before the eyes of a Judge who sees all things,” a Judge who knows all our thoughts, intentions, desires, words, and works. O mortals! think and judge of me as you please, I hold with the holy Apostle, St. Paul: “To me it is a very small thing to be judged by you. He that judgeth me is the Lord.” Think and say of me, if you wish, that I am a good-for-nothing, wicked man; He Who has to judge me is an all-knowing Lord. Happy me if I am found good in His sight! Think and say of me that I am a holy man; He who is to judge me is an all-seeing Lord. Woe to me if I am found wicked in His sight! “Therefore,” concludes St. Augustine, “fear Him to whom everything is known;” fear that Judge, Who is an almighty, and at the same time an all-seeing God. And this is but right; the divine honor requires that a time should come in which the severity of His justice shall be manifest, as His other perfections are shown to the world. In the creation God showed His almighty power; for with one word, fiat, He made the universe out of nothing. In the government of the world He shows His admirable wisdom, for His providence has appointed many different states for men to live in. In the Redemption He shows His goodness and mercy, for He offered Himself as a Victim for the salvation of men, and was nailed to a cross for them, and the same mercy is daily made manifest in the patience with which He bears with sinners. His boundless magnificence and liberality He shows in heaven, where every momentary good work shall reap an eternal reward; His hatred and detestation of sin are made evident in the eternal hell, where He punishes even a momentary mortal sin of thought. It is His justice alone that has not been exhibited to the world hitherto. And God has appointed the last day of the world as the time for showing that special perfection to men; and therefore He calls it: The great day of the Lord; the day of wrath; the bitter day; the day of calamity, on which He shall judge all nations in His justice. The mercy of God itself requires that severity and merciless strictness in the judgment. Why? It has been and is still so often abused by men during life; and what is still more insulting to this divine attribute, sinners take occasion from it to offend God with all the more hardihood. Thus countless millions of sins are committed because God is infinitely good and merciful. Is it not right, then, that this insulted mercy and goodness should be fully avenged on the presumption that so recklessly despised it? And that it will surely be. “I have always held My peace,” says the Lord by the Prophet Isias; “I have kept silence; I have been patient.” I have long listened to cursing, swearing, blasphemy, detraction; I have seen the pride of My Christians, their injustices, vindictiveness, riotings, impurities, secret adulteries; I have for a long time had to suffer patiently many acts of contempt and disobedience against My sacred laws; I have held My peace all the while; I have kept silence; I have acted as if it did not concern Me; I have restrained Myself from inflicting on men the punishments that I threatened them with in Holy Writ, and that they saw exemplified in the case of other men, as if I were powerless to defend Myself against the wantonness and wickedness of sinners; but when that time comes, that great day of wrath and anger, I will show them what I am. I will be to them as a lioness, as a leopard in the way of the Assyrians. I will meet them as a bear that is robbed of her whelps,. . . . . and I will devour them as a lion;” they will feel the heavy weight of My justice. O my good God! 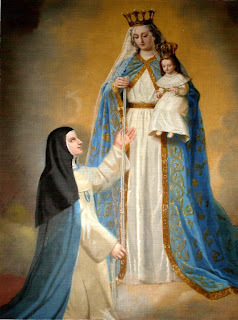 I acknowledge that I have up to the present moment experienced Thy incomprehensible patience and mercy, and it should impel me to love Thee with my whole heart and soul and strength; it should give me hope and courage to work out my salvation; but that very patience and mercy which I have so unjustly misused fills me with a greater dread of the severity of the judgment that awaits me. Ah, my dear brethren, then they will see the Son of man coming; then we shall all behold that almighty, all-wise God, but without mercy: just, angry, and embittered! And how will it be with us then? Quantus tremor est futurus, quando Judex est venturus! What fear and trembling there will be among the wicked in presence of their Judge! Who can stand before Him? 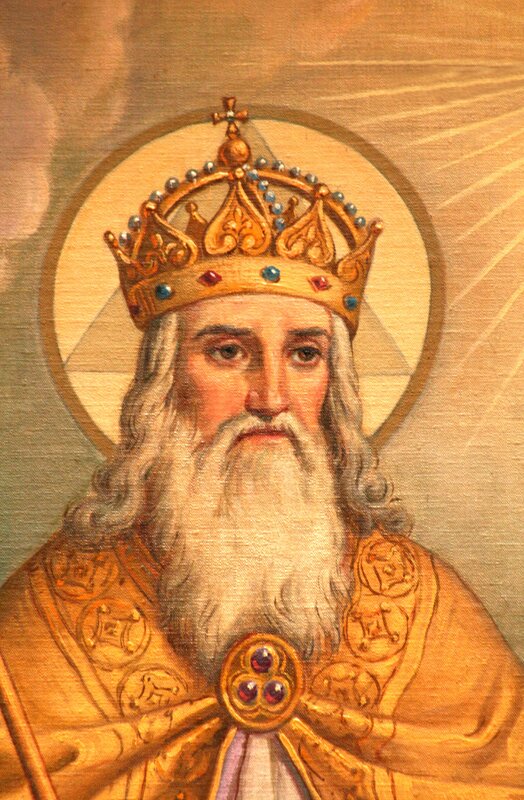 I consider the case of King David, hurled from His throne by a disobedient son, abandoned and hunted by his own people, and wandering about, in misery, and I pity him; but I tremble at the same time when I hear him in the midst of his calamities calling out fervently to God, not for help and alleviation of his sufferings, but for grace in the day of judgment, and that, too, out of sheer fright. “Hear, O Lord, my prayer; give ear to my supplication in Thy truth; hear me in Thy justice!” And he adds the reason of his earnest supplications: “Enter not into judgment with Thy servant, for in Thy sight no man living shall be justified.” I do not ask Thee to free me from the persecution I have to suffer from my own son, or from the other miseries that afflict me; I should be calm and undisturbed in the midst of any temporal misfortunes and trials if I could only have the consolation of not coming under the strictness of Thy justice, for I know that no man can justify himself in Thy sight. I hear Job on the dung-hill crying out full of anguish and fear in the midst of terrible sufferings: “What shall I do when God shall rise to judge? and when he shall examine, what shall I answer Him?” Ah, innocent and holy man, art thou in doubt as to how thou shalt fare, as to what thou shalt answer? If so, woe to me! for I should be well off if I could answer as readily as thou. Answer what thy own Judge said of thee, and He will not be able to contradict it; for He has given testimony that thou art “a man simple, upright, and fearing God, and avoiding evil.” Would to God that I could say the same of myself! Answer: “My heart doth not reprehend me in all my life.” Would to God that I could say that, too, of myself! Answer that after the loss of all thy goods, the slaying of thy children, in the torments thou hadst to suffer, thou hast never sinned with thy lips, wert always resigned to the divine will, and didst bless the name of the Lord. Answer that whatever small faults thou didst commit were most amply atoned for by thy generous alms, and by the sufferings thou didst bear with such patience. Ah, would that I could say as much for myself! Answer: “I was clad with justice. . . .I was an eye to the blind and a foot to the lame. I was the father of the poor,” a comforter of the afflicted. And yet thou art afraid of the judgment of God, and dost not know what to do! Alas! let me and other sinners ask: “What shall I do?” God will come to judge me, and I have done none of the praiseworthy things that stand to thy credit; what shall I do? From the first dawn of reason I can hardly point to one day of my life on which my conscience has not reproached me with sin: “When He shall examine, what shall I answer Him?” If He asks me for an account of the many graces and benefits He bestowed on me; what shall I answer Him? If He asks me how I have performed the duties and obligations of my state of life; what shall I answer Him? If He asks me how I have spent the precious time for so many months, days, and hours, of which not one moment should have passed without my doing something for my salvation; what shall I answer Him? If He asks me whether I have ordered my whole life according to the law of His holy Gospel; what shall I answer Him? And when in addition to all these questions He will deal with me in the strictness of His justice without any mercy, and not allow an idle thought or a vain word to escape notice; what shall I do? Alas! I hear, too, in the midst of the desert among wild beasts, a St. Jerome, emaciated with penances, striking his breast with a stone, and crying out: “When I think of that day, my whole body trembles,” and a death-sweat breaks out on my forehead! Whether I am eating or fasting, sleeping or praying, the sound of the terrible trumpet echoes in my ears; “Arise, ye dead, and come to judgment!” If I go in thought farther into the desert, there I find the holiest of the hermits, Hilarion, Arsenius, Agathon, who could not conceal their fear and dismay; and when asked by their disciples what cause they had to fear, “Ah,” they replied, “the judgments of God are different from those of men!” I read of three devout pilgrims who travelled to the Holy Land; they came to the valley of Josaphat, which is surrounded by forests and mountains, and has by no means a melancholy aspect. Wandering to and fro, one of them found a large, flat stone; he considered it for a while and said: as this is to be the place in which the whole world shall be judged on the last day, I will now seek out a suitable position for myself, and take possession of it. He sat down on the stone and raised his eyes with awestricken devotion to heaven, when he had a momentary vision of Our Lord as He shall come to judge the living and the dead at the last day. The pilgrim was so terrified that he fell in a swoon from the stone and was picked up half dead. Little by little he came to himself, but from that day forward was never seen to laugh, while the bare mention of the last judgment in conversation or in a sermon was enough to make him shudder and grow pallid, till he resembled a corpse more than a living man. O my God, what am I to do? Must I lose courage altogether and despair of my salvation? No; for there is still time for grace, and since that is so I will at once appease my Judge with sincere repentance. 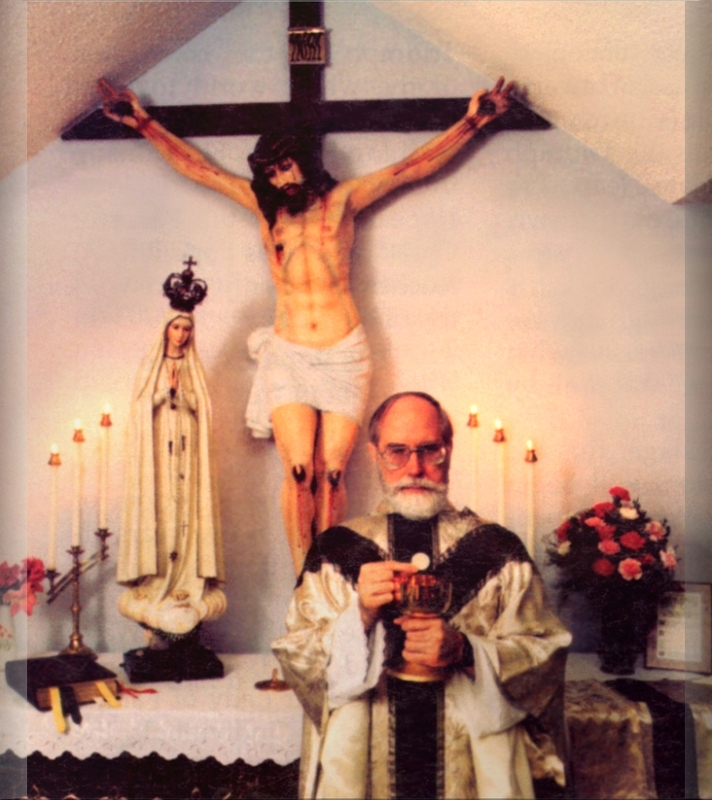 Now, while the mercy of God surpasses all His-works, I will cry out with a contrite heart in the words of the Catholic Church: “O just Judge, forgive me my sins before the day of reckoning comes!” If I have transgressed and transgressed often and grievously, so that Thou hast just cause to condemn me, still Thy goodness is infinite, so that Thou canst heal me and save me! Now while there is time for amendment I will make friends with my Judge by earnest, sincere repentance, by a thorough change of life, by true humility, by renouncing all vain earthly joys, and by the diligent practice of good works; so that when I shall one day see Him coming in great power and majesty, I shall have more reason to rejoice than to dread His strict justice. Amen. 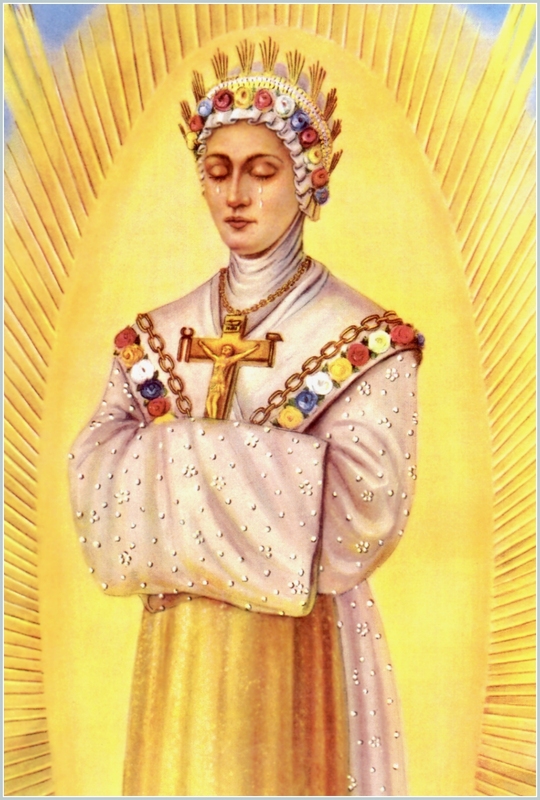 This entry was posted in God and tagged Catholic on April 10, 2015 by damselofthefaith.